Some years ago, I was living a wayward life. When I say wayward, I don’t mean being a gangster or some form of criminal. My understanding of wayward is astray. Stray means going off target or deviation from intended goal. When called to action, there is always a motive. The motive is the goal. Any achievement that does not include the motive is a stray no matter how awesome it may be. The motive of designing a television is to show moving images. I know that these days, some televisions can be used as computer monitors, and for many other functions. But, how about having a television that can work superbly as a monitor, can be used in making clear and very audible Skype call but in the long run, cannot show any moving image. Will that still be considered a television? It wouldn’t, because its primary motive is to air moving images. In spite of its other functionalities, it has strayed because it has failed in its primary assignment. If a hunter fires a shot at a lion, and the bullet from the nozzle of the gun strays, it poses two dangers. The first is the high possibility of the lion, rather than running away, attacking the hunter. The second is the probability of the stray bullet hitting an innocent person. Anyone who does not answer his call strays from his gift. His straying isn’t just a danger to himself, but to all around his vicinity. His call is what he was endowed by nature to do. If he does otherwise, he becomes artificial. Many are living artificial lives because they ignored that inner passion to drive on a certain road. Some are driving in opposite directions to their destinies, yet, they are so blind to observe it. Until you fly in line with your call, the jet stream will work against you. Here are 10 benefits of answering your call. Answering your call gives you inner satisfaction: have you ever achieved something that gave you that inner feeling of, ‘Yes, I did it!’? Working in your call brings that feeling. The only assignment that can give you that inner peace is responding to your call. You don’t know who’s on the line, so answer before you lose out. Answering your call gives you self identity: you need to be known for something; otherwise, you’ll be known for nothing. Your call is your best identity. I like to be introduced with my call. Don’t tell the world how many degrees I acquired because it may not be my call. Tell them how much I inspire because that is what I am called to do. Answering your call gives you self worth: if you walk in a calling, you are confident to introduce yourself in a network. In various meetings, I am proud to talk about my books, my blog, and my digital marketing company. I have self-worth because I picked up the call and responded politely to the Caller. Answering your call gives you a sense of purpose: purpose is an aim; people who answer their calls are not aimless. Purpose is an intention; those who respond to their calls have goals. Purpose is a picture of the future; anyone who answers when his destiny phone rings has a future. Answering your call makes you visionary: vision is the ability to see. With mental blindness, you can’t envision. Visionaries see beyond the present. Every tomorrow resides within, and those whose inner eyes are wide open see their tomorrows today. With what they see, they plan and move into the future. Answering your call gives you recognition: identity leads to recognition. My children’s DNAs match mine. They are identified to be mine because they are recognized as mine. Listen; your identity brings you recognition. 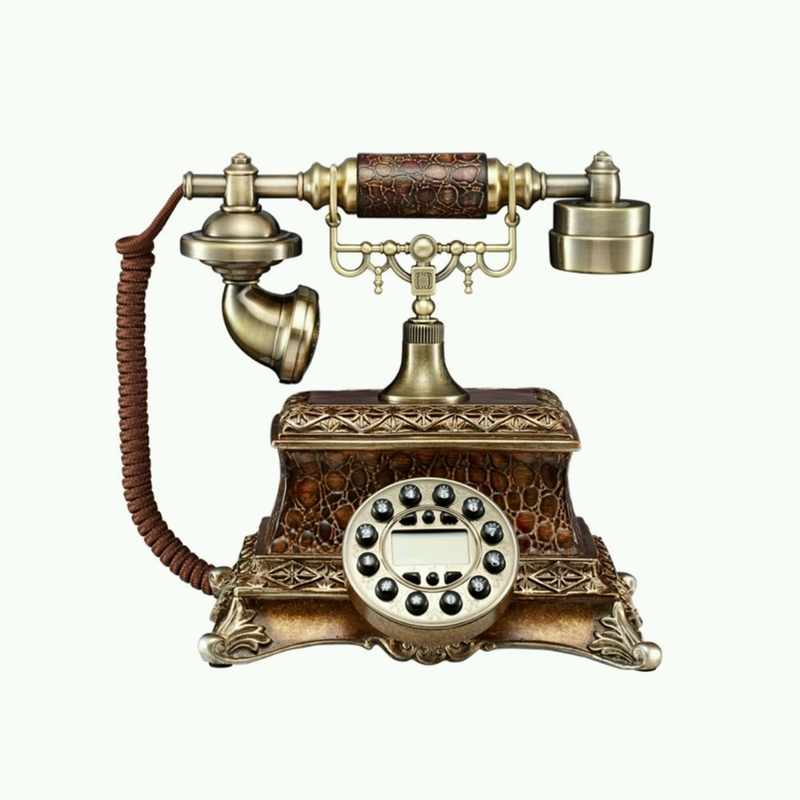 Answering your call makes your gift evolutionary: when I started writing, I began with poetry. From poetry, I developed into writing some short meaningful but grammatically flawed articles. Then, I rarely had enough points to write on. As I began to read and listen to mentors, I understood how to generate points or ideas for writing. It got to a stage where I started developing more points than those I learnt from. Today, I am writing my 10th book – this is what I call evolution; starting from a small gift to growing the talent and skill to a broader range. Although I haven’t made the money yet, but I am confident that I will. Answering your call helps you make an impact: my number one desire is to make an impact; to affect people’s lives positively. That is why I blog regularly knowing that I can reach a wider audience. I have often said that we don’t all need to be on stage. Some people are called for backstage. Just occupy where you are called to be. Stop pushing yourself where you don’t belong. You can make better impact if you stay and run in your lane. Answering your call helps you leave a legacy: recently, I attended a Wake Keeping ceremony where for the first time, I heard genuine comments about a deceased. She left a legacy; a fantastic one. She raised fantastic children; gave seven of them high moral and spiritual standard and quality education. That is legacy! Answering your call makes you money: I deliberately left this for the last because as important as it may be, that is the least reason for answering your call. If you make it your first, you will miss your way. In the long run, answering your call helps you create marketable content. If it’s marketable, it will generate cash. In conclusion I say, your destiny phone is ringing, pick it up and answer. There’s gain in answering. There’s pain in ignoring!